Growing up back home, pizza was a foreign commodity, we’d heard of it, but there was none around Clarenville at all. 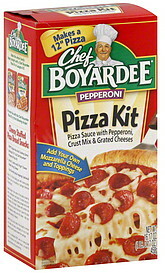 The only pizza we saw were the (I think) chef boyardee pizza kits, with a can of sauce and dough mix that was never big enough to cover the pan and some herbs to throw on, and a little (again i think) parmesan cheese. It tasted exactly unlike anything pizza was supposed to taste like. 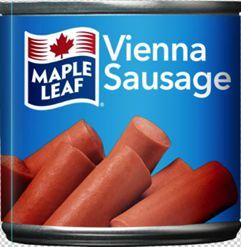 Of course we needed toppings, so seeing as we’d also never seen salami or pepperoni, we used the next best thing….. vienna sausages! if you’ve never had these wondrous little delicacies, well then don’t. They are one of the most horrendous products ever made in my opinion, though of course I know many people who love them. I remember making someone, I think it was Tina Cooper, though that may have been dill pickle chips, throw them out the window of the car when they opened them, saying either the sausages went or they did. The smell is disgusting! The only way I could manage them at all was to fry them up, not sure how anyone was able to eat the raw…. but I digress. On those old pizza kits we’d slice these up as our pretend pepperoni, and throw the whole works in the oven. It of course tasted nothing at all like pizza. My first real pizza wasn’t eaten till I was 16 or 17, and in St. John’s starting at the College of Trades and Technology. I decided to try it and went to Mr. Jim’s in Churchill Square, and sat down. A waiter or waitress came and asked me what I’d like, and having no idea what any of these foreign sounding things were, I ended up with a cheese pizza. Needless to say, after burning my mouth on melted cheese, and having no toppings, I was a little underwhelmed. But that was the first real pizza, other than the kits. I can still see those on the shelf at the CO-OP in my minds eye now! The Seal The Loom looms….